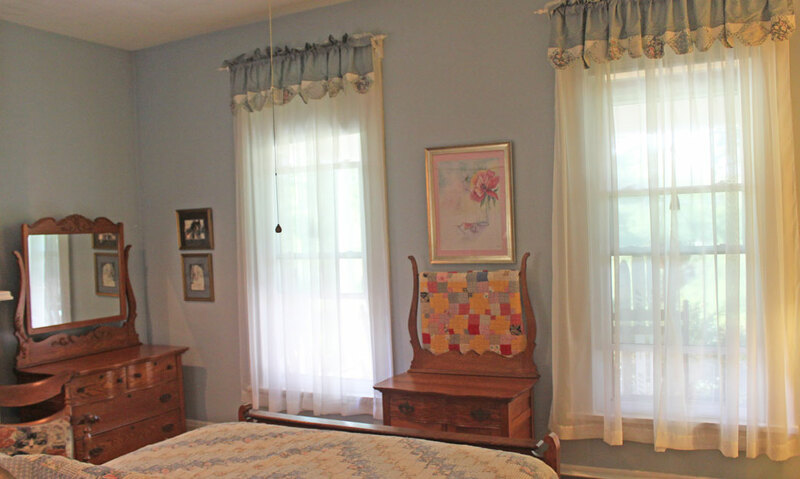 Furnished with Jen's great-grandparents' oak bedroom set, the big windows look out onto the veranda and across the road to the neighbors' cows grazing. 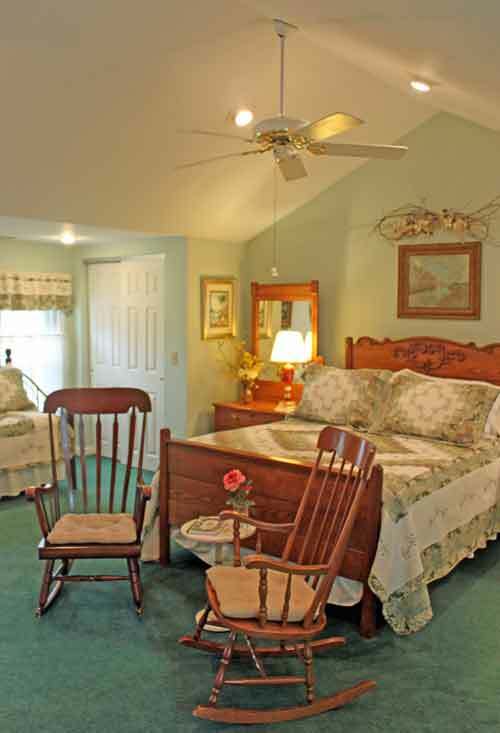 Perfect for families and girlfriend getaways, the Treetops room has a starry night sky. 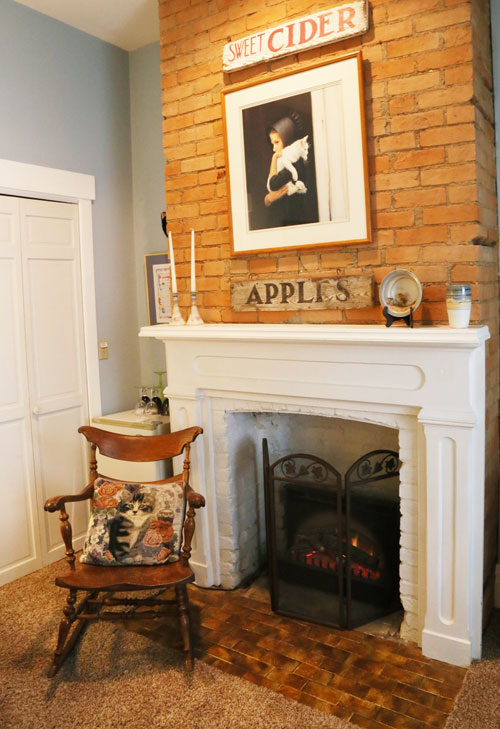 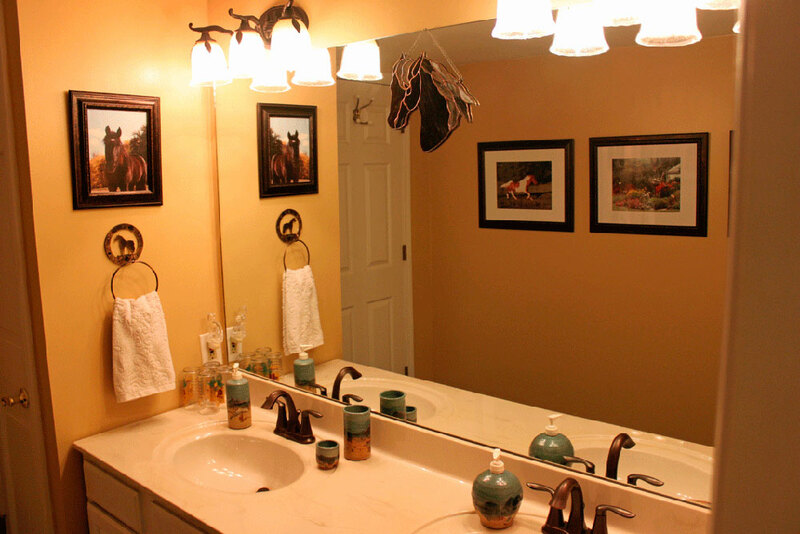 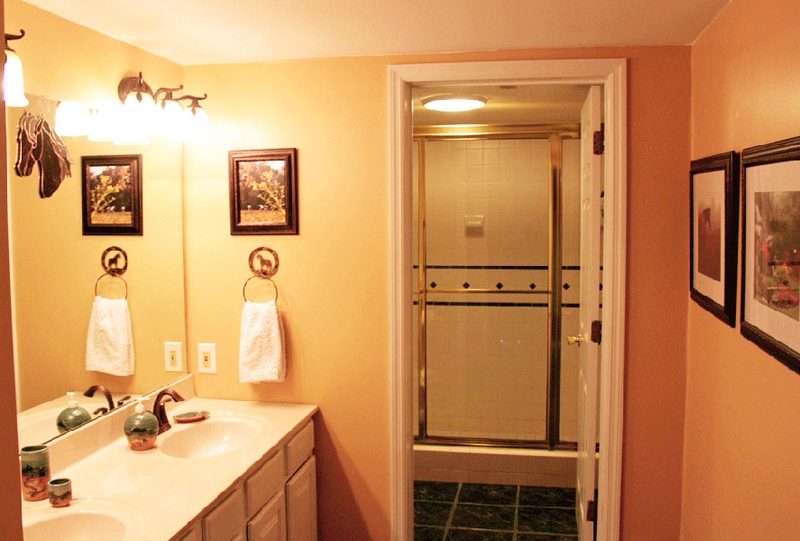 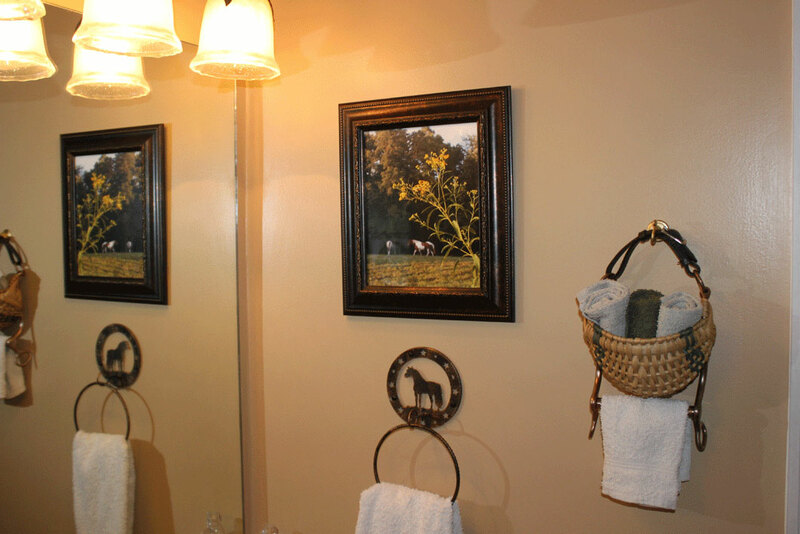 The big two-room bath features photos of First Farm Inn horses, including one taking a shower in the shower! 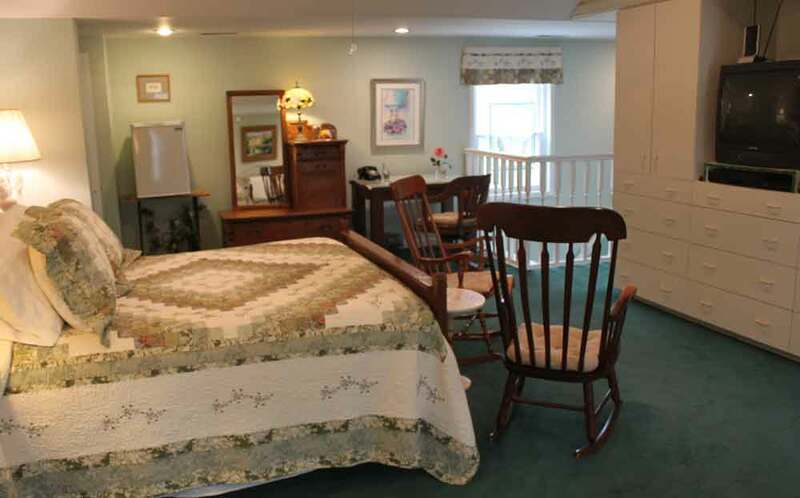 An electronic fireplace adds to the charm and ambiance of this spacious, comfortable bedroom. 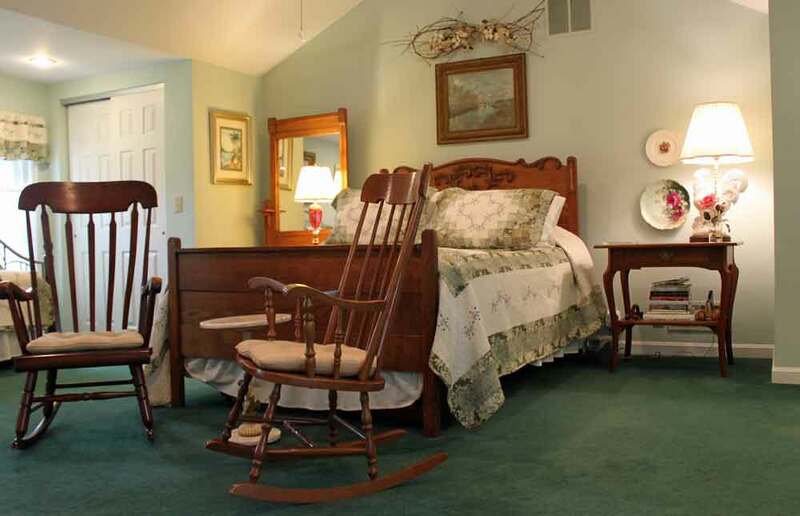 An oak chifferobe, designed to hold a top hat and be tall enough for a man to use to shave, is one of the antiques in the big Treetops room. 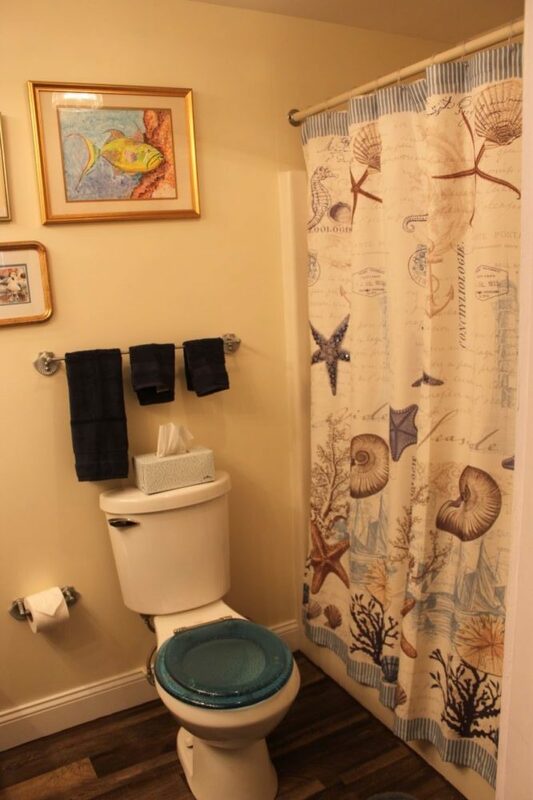 The 1870s full bath at First Farm Inn Kentucky features several of Jen's watercolors, done at Pawleys Island, SC or Green Turtle Cay, Abacos. 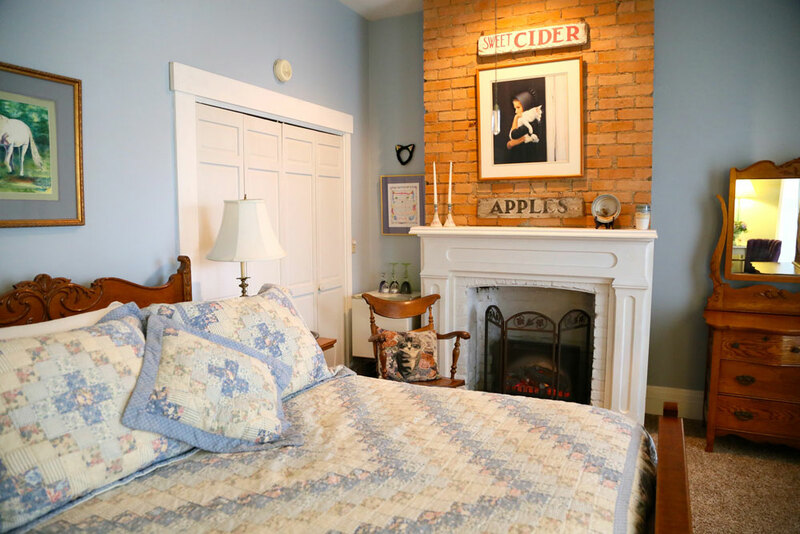 The 1870s full bath at First Farm Inn showcases beach art and collections. 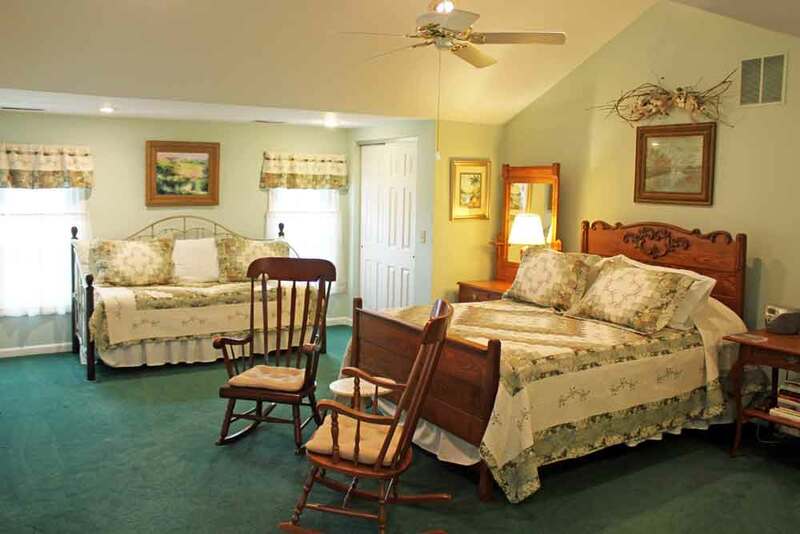 Rooms at this little Kentucky horse farm, just outside of Cincinnati are spacious and comfortable with pillow-topped queen beds and bathrooms accessible from inside the rooms. 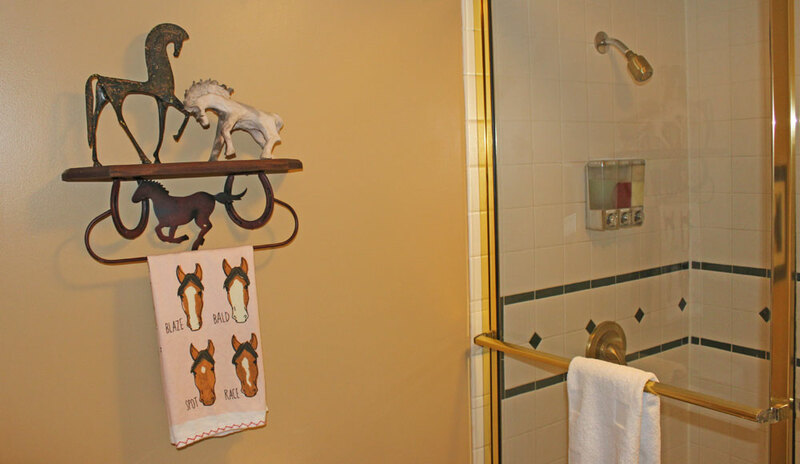 After riding horses, come back to the house and rock on the porch or shower and stretch out on your comfortable bed. 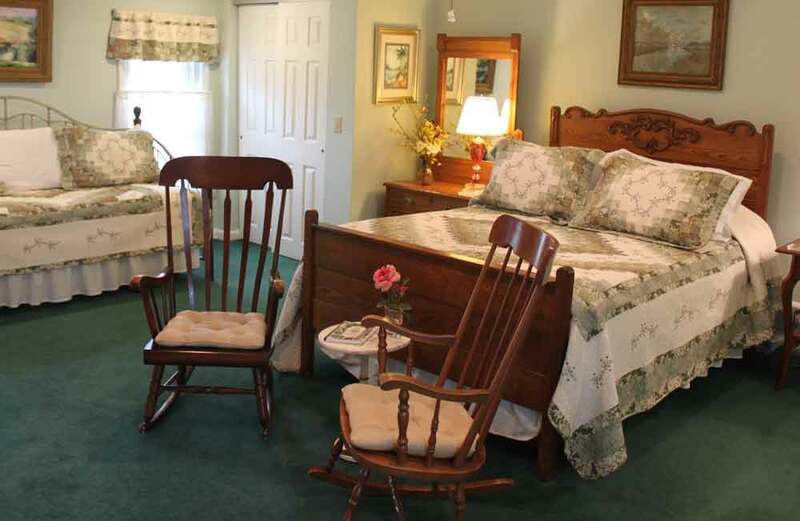 Rooms feature every amenity that you will find in a good hotel, plus some. 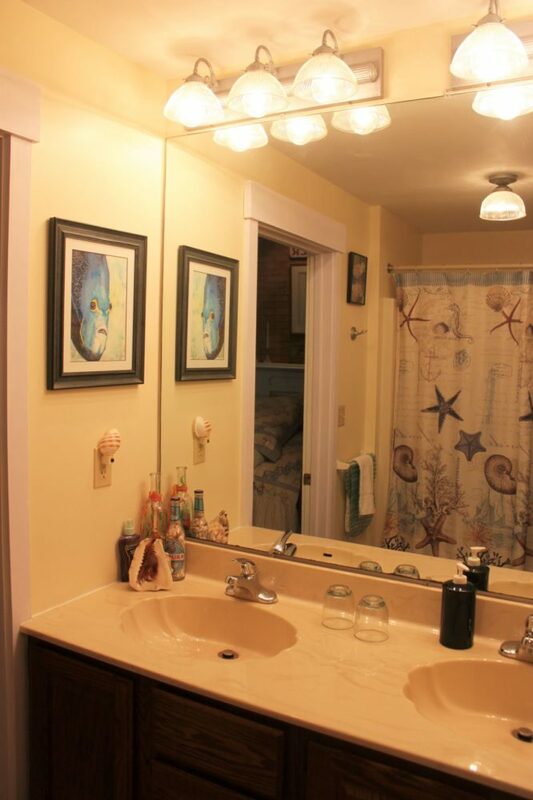 extra plugs for charging your electronics. 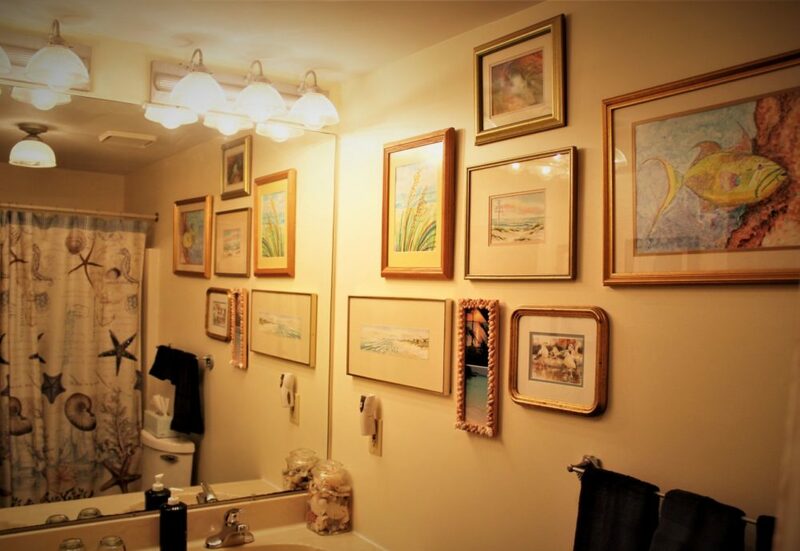 If you’ve forgotten anything, it’s likely you’ll find it under the sink. 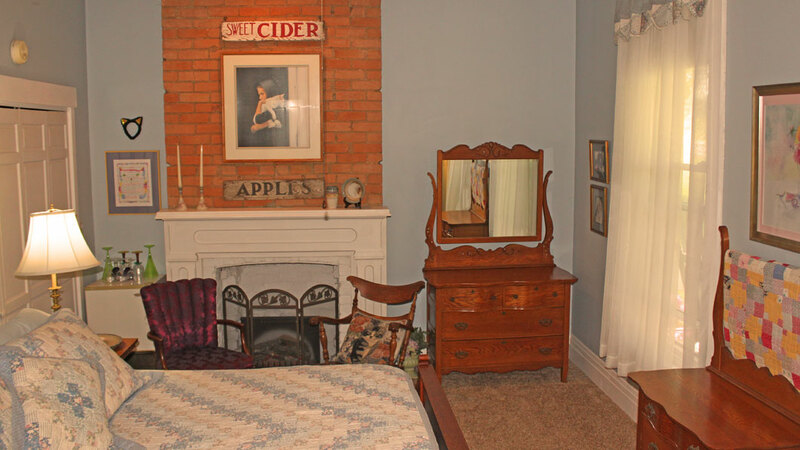 This room is fairly authentic to the house’s time period.